Astrology. Anyone grounded in the real world shudders at the absurdity of it, and yet, women eat that stuff up as if it really means something. I understand why, of course: it's the childish desire to shed all responsibility for oneself, to put the blame of failed relationships on someone else instead of taking responsibility for ALL your actions (conscious and unconscious), and what better scapegoat than something that doesn't care? It's unfortunate that we as a society encourage this kind of destructive and self-destructive behavior, rather than insisting that people act like adults. Some do, but not the majority. You've read in the newspaper or on the internet your daily horoscope. Probably every social-networking and dating site will tell you what your sign is when you tell it your birthday. But these sources of information are flat-out lying to you about 90% of the time. The 12 signs of the Zodiac are all constellations in the sky. Aries, Taurus, Gemini, Cancer, Leo, Virgo, Libra, Scorpio, Sagittarius, Capricorn, Aquarius, and Pisces. When the Sun is in a particular constellation, and you are born that day, that's your sign. The astrologers would have you believe that these 12 constellations are divided equally in the sky, but in truth, they're not. Some signs have the Sun in them for only 8 days, some for as long as 44 days. And on top of that, there's a 13th sign the Sun travels through: Serpentarius, also known as Ophiuchus. It's nestled between Scorpio and Sagittarius, and lasts 18 days. That's more than twice as long as Scorpio! Way back when astrology was first getting started, oh, say around 2600 years ago in 600 BC, we had a different North Star. You have probably heard that the North Pole, over the course of 26,000 years, makes a complete circle as it points to different parts of the sky. So the path the Sun takes through the sky has changed since the Zodiac was made. It goes through the same constellations, but with varying amounts of time. Give a day here, take one away there. The Earth's orbit around the Sun is not a perfect circle. There are times it's closer and times it's farther. When it's closer, it travels faster and when it's farther, it travels slower. You learned this when I talked about Mercury's double sunrises a few months ago. Earth does the same thing, but not as dramatically as Mercury, because it rotates faster and is a lot farther out. But, this imperfection in the orbit, and some other complicated math I won't bore you with, means that as the Earth goes around the Sun, the point in space where it is closest to the Sun is also going around. Essentially, if a year was measured from the point that Earth was closest to the Sun instead of when the Sun was in a certain part of the sky, the year would be slightly longer. Because of this slightly longer "year", known as a precession, it means that over the course of centuries, even decades, on a given day of the year, the Sun might not be in the same constellation it was 10-100 years ago. Now multiply this out by the 2600 years since astrology was codified. What we have is a shift of a little over a month! 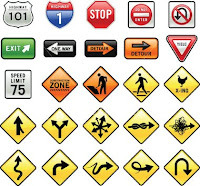 If this was the only thing wrong, everyone would be off by 1 sign, with about 10% of people off by 2 signs, but because the constellations are different sizes, there are still a few people who have the correct sign. The positions of the planets are also of importance to your chart. But the planets wander through more than 13 constellations, they wander through 21 of them! (25 if you count Pluto.) 21 constellations! There are a lot of different cultures around the world, and just as not everyone marks their years as 365.25 days apiece - some mark it 365, some alternate between 354 and 384, etc - each has their own constellations and their own astrology. For instance, the Chinese zodiac has 12 different signs, but that's not 12 signs per year, that's 1 year per sign! On top of that, the day you're born in China, you're already considered to be a year old. Even if we just stuck with the "Western" zodiac, which has been altered many times to take into account newly discovered planets (of which the ancients apparently never noticed their effects or they would have been in the original charts), there's still the problem that no two astrologers will interpret a given chart the same way. Here's a site that has a lot of the above information. And here's another one. Okay, so you're already pretty much right-minded or you wouldn't be reading this site, nor would I want you as one of my fans if you weren't, but you've probably got some friend who believes in this stuff, or some girl you want to impress and she believes it. What can you do to set those people straight? 1. Let it go. Be the bigger man (or woman) and let that person have their fun. As long as the person isn't harming anyone, or devoting their life to it, it doesn't matter. 2. Get a better class of friend/girlfriend/boyfriend. Really, if it bothers you enough that you want to beat sense into them, then they're obviously not the kind of friend you need in your life. Or it could be that you're too judgmental. See option 1. 3. Learn a little about it so you can be a fake astrologer too! Hey, chicks dig it! Any that believe in it are likely to believe you're a great guy, too, so you might as well use it to your advantage. For some people, it's a moral obligation to part money from suckers. 4. Spend a great deal of time setting up the frame of reference that you're going to do a scientific experiment, then an even greater deal of time taking that person to a number of astrologers to have their chart done, with the agreement that if the charts are not identical, or if they contradict each other in even the slightest, then all of astrology must therefore be fake. See, the problem lies in the fact that if someone can believe in something so obviously untrue, they must be brain-damaged. You cannot use logical arguments on someone who doesn't understand logic! You may as well argue that the sun looks wet and tastes like a taco today, but tomorrow it'll be different because then it'll look wet and taste like a taco. Really, those are your only choices. 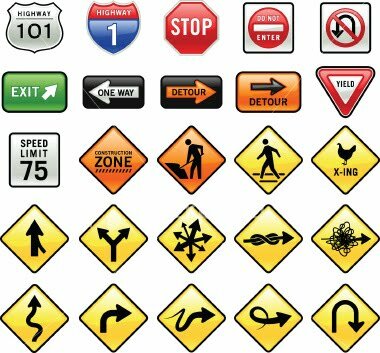 Okay, so in the theme of "Here's your sign", I've found a few random things related to signs for you to buy if you want to. Remember that anything you buy through these links helps keep this site running and improving. Hey, please LIKE More in Sanity on Facebook! This is a VERY popular article (3rd most popular on the site! ), so I came back and added a Tweet button for you guys to share it. Please do!